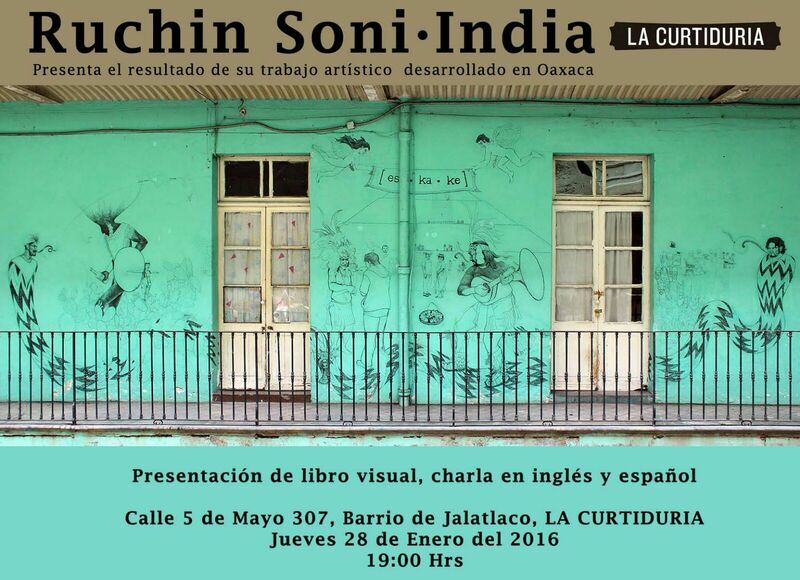 For one night only, Thursday, January 28, 2016, visiting India artist Ruchin Soni will present his work at an art opening to be held at La Curtiduria studio, Barrio Jalatlaco, at 7:00 PM. The public is invited. La Curtiduria is a graphic arts incubator studio space, whose director, Oaxaca printmaker Demian Flores, was mentor to Ruchin during his three-month cultural arts exchange program between Mexico and India, sponsored by the Mexican government. Ruchin competed and won support for this artist-in-residence program. 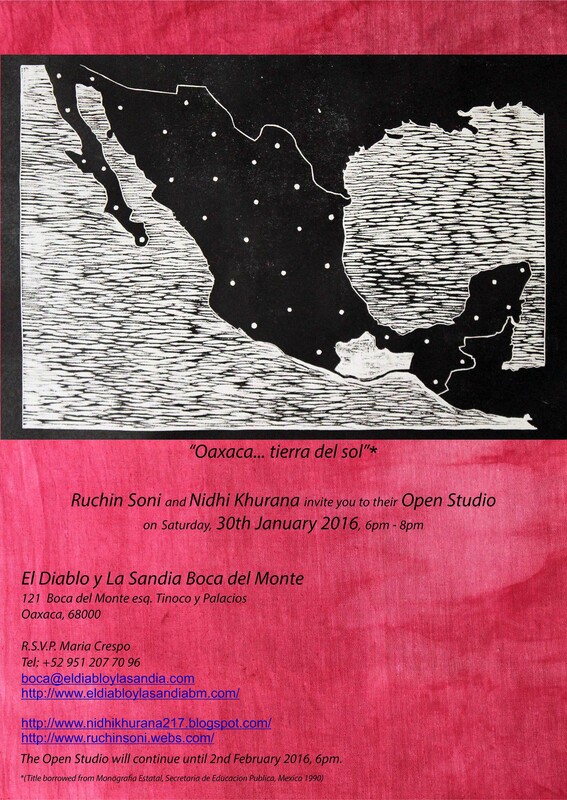 Ruchin worked in the studio to create woodcuts and other art pieces that represent his view of Oaxaca. Also a prolific muralist, painter and illustrator, Ruchin designed and painted street murals that bridge the intersection between popular art in Mexico and India. This entry was posted in Cultural Commentary, Mixed Media Art, Textiles, Tapestries & Weaving and tagged art opening, India, Oaxaca, Ruchin Soni, show, studio. Bookmark the permalink.